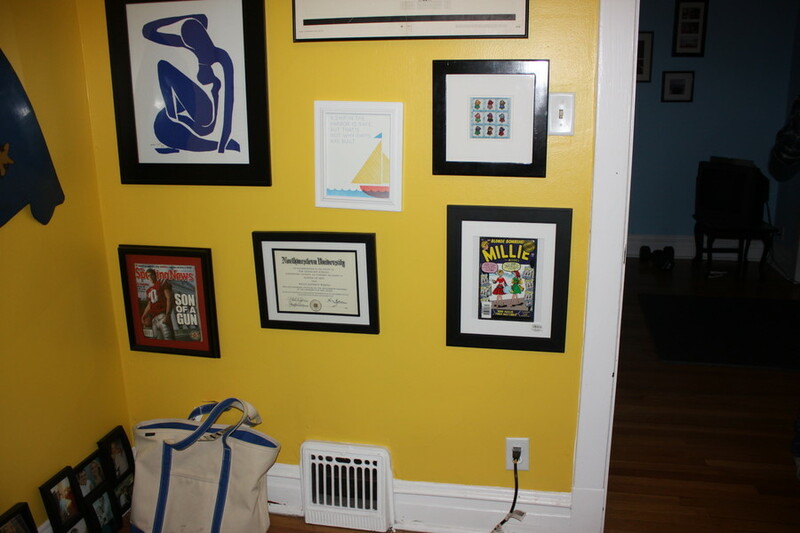 The goal for the guest room is to have it not turn into a catch-all junk room like it is now. Having a third room for catch-all junk purposes should make this possible. I want the guest room to be simple and always ready for guests. Because we love guests. Seriously: if you’re reading this, you should come stay with us, even if you live in Chicago, but especially if you live in Columbia, Iowa City, Minneapolis, Ankeny, New York, Rich Hill, Raymore or Newport Beach. Obviously, paint is a top priority. Am I going to need a primer to cover up that yellow?! Gah. I’ll either choose white or the same shade of light gray I use in the rest of the apartment. Bed: I bought a simple, used West Elm platform bed on CL last week – picture this one, except taller and without the headboard. It came with a nice mattress. (I then sold the existing guest room bed with the headboard I spray painted a while back.) I will probably make a headboard to use with the new platform bed, similar to the one in our room. Storage: Something small and functional for guests. One of my dressers (there are several from which to choose!) or one of our two C&B Sloane bookshelves. 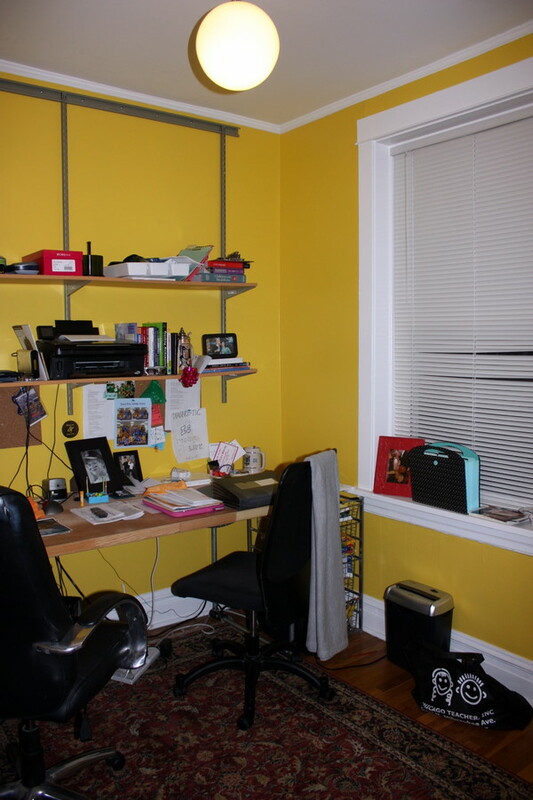 Decorating – The room doesn’t need much. Full-length mirror for the back of the door: check. Hook rail: check. All guest rooms should have a bunch of hooks. Or taxidermied deer heads, which serve the same purpose. Window treatment: something cheap. Possibly some fabric made into a roman shade. 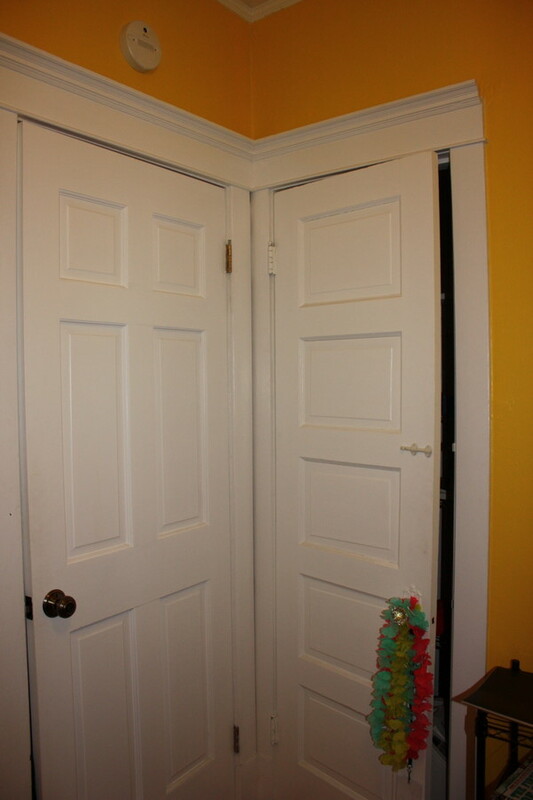 The bedroom door and the closet door are back to back, which I find problematic. 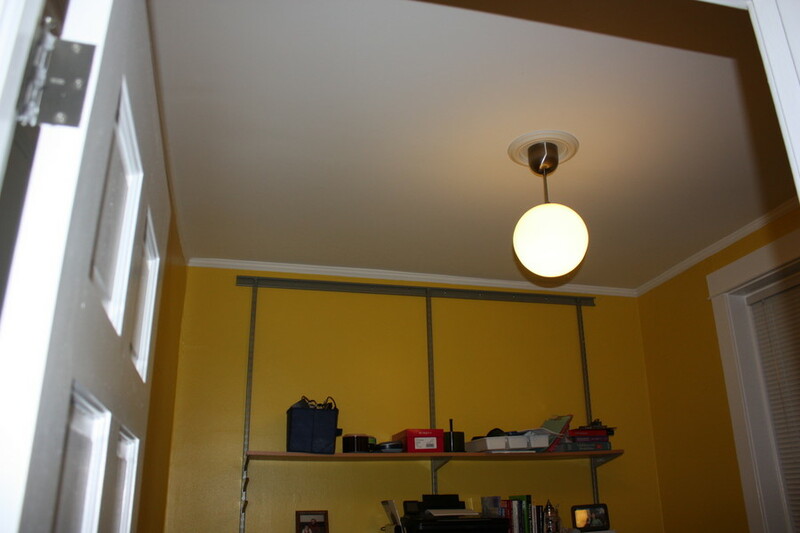 I may remove the closet door and replace it with a curtain, if possible. I do like the ceiling fixture! The overall aesthetic I’d like to achieve is Daniel’s bedroom over at Manhattan Nest. (This room makes me want to paint everything white.) I already have the chair! I’m sorry if planning posts are super boring for everyone but me. If so, you should just skip the next five to six posts. 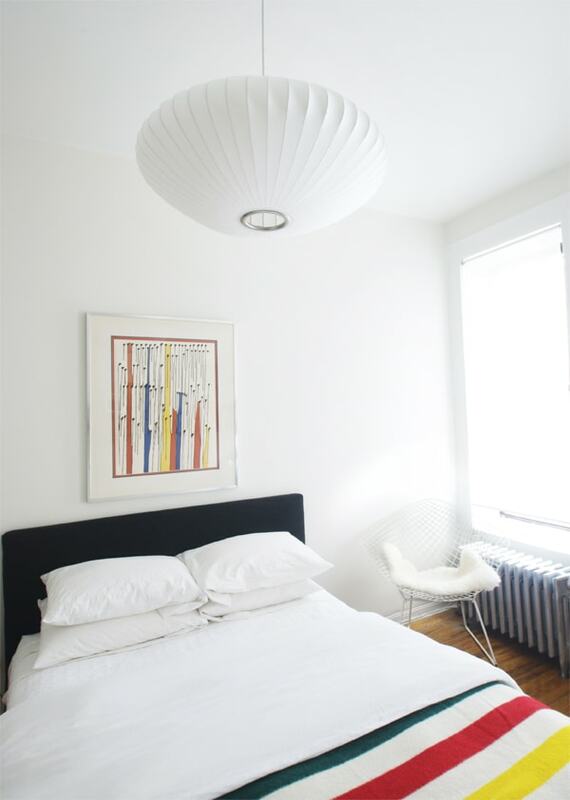 I LOVE that Manhattan Nest bedroom; I’m kind of obsessed with trapper blankets. . .
You can definitely achieve those goals. I love pocket doors and if I ever get to design a home from scratch there will be a lot of them! But it’s probably too much money/effort for a rental, especially in the guest room. Just bought a new home and am searching everywhere for rugs! Where did you find that one? Love that print. Rug shopping is so much more difficult than I thought! Next Next post: Recliners: Why They Gotta Be So Ugly?